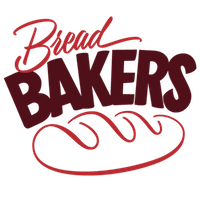 This month the #BreadBakers are baking breads from Italy! As soon as I heard the theme I began looking online for recipes. There were so many different Italian breads to choose from and I had a really hard time. I finally narrowed it down to Focaccia or Ciabatta. I really wanted to make the Ciabatta because I’ve never made it before. The problem is you have to use a starter to make it. The starter takes at least 8 hours to sit before using and I didn’t have that kind of time. I usually only bake on the weekends because I work all week and don’t have the time to do it while I’m working. So I went with the Focaccia. I made Focaccia a few years ago and it just turned out ok so I knew I needed a better recipe. I found one that used Italian seasonings and loads of garlic that sounded really delicious. I also found that most Foccacia recipes use a ton of olive oil. I wasn’t sure about using that much but since so many recipes called for it I went along with it. Focaccia is actually pretty easy to make. 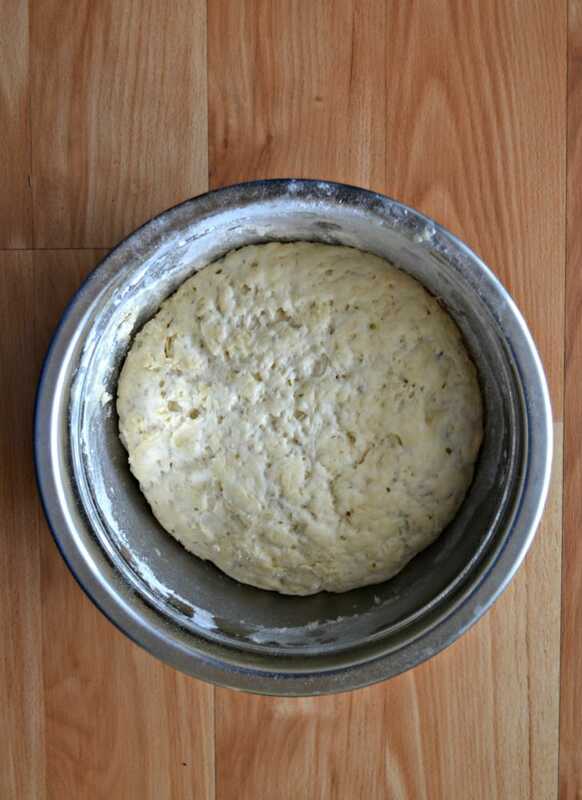 The dough is mixed together and then only kneaded for about a minute before letting it rise. Once it has risen I simply stretched it out and put it in a pan. I let it rise a little bit longer then put it in the oven. It was a pretty easy process overall. The Focaccia smelled amazing as it was baking. For starters it smelled like fresh baked bread but I could also smell the oregano and garlic as well. 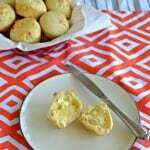 When I looked in the oven the olive oil had seeped into the bread and was making it a wonderful golden brown color. When I pulled it out of the oven it looked perfect! The taste test was the real moment of truth. The verdict? Delicious! 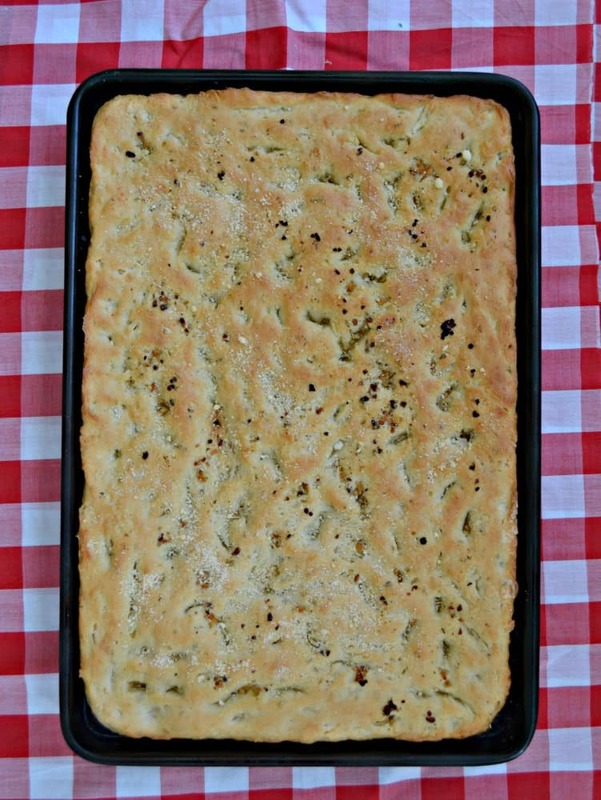 This Focaccia was so much better then my previous version. The edges were crispy while the middle was soft and tasty. There was a lot of flavor from the olive oil, garlic, and oregano. I had several pieces straight out of the oven. Later on that night I decided that this focaccia would make a great base for a pizza. So I made my husband and I several focaccia pizzas. I simply took the focaccia and topped it with marinara sauce, mozzarella cheese, and pepperoni. It was so amazing. 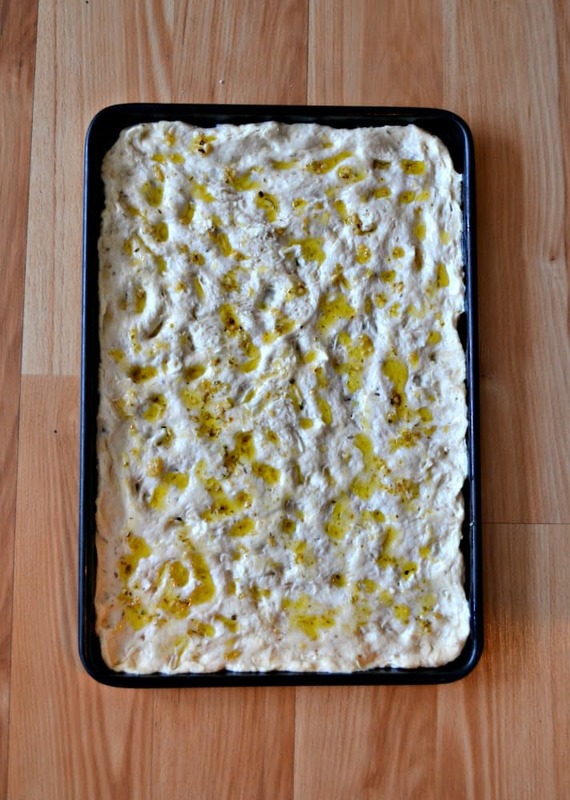 I’m definitely going to be making this focaccia bread again soon! 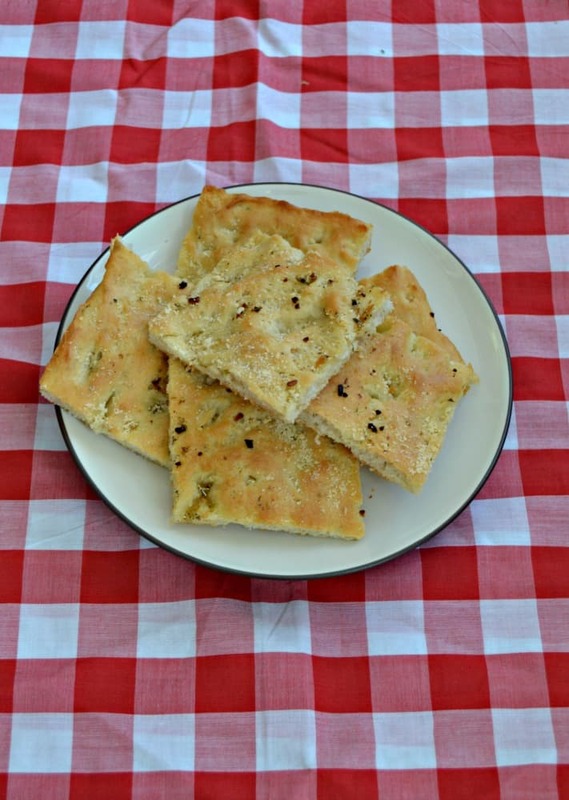 I love the oregano, garlic, and olive oil flavors in this tasty Focaccia Bread. In a small skillet combine the olive oil, garlic cloves, oregano, rosemary, sea salt, and black pepper. Heat on low for 10 minutes. Remove from heat. In a large bowl combine the warm water, yeast, and honey. Allow to sit for 5 minutes. After 5 minutes add in the flour and ¼ cup of the olive oil mixture. Mix until combined then turn onto a floured surface. Knead the dough for 1 minute. Put the dough in a bowl sprayed with cooking spray and cover with a dish towel. Allow the dough to rise for 1 hour. After an hour preheat the oven to 450 degrees. 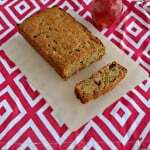 Pour 2 tablespoons of the olive oil into a 9 x 13 jellyroll pan and spread out. Place the dough in the pan and stretch to fit to the size of the pan. Using your fingers poke holes all through the dough. Drizzle the remaining olive oil on top of the bread. Set aside and let rise for 20 minutes. Put the focaccia in the oven and bake for 20 minutes. 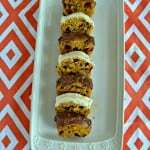 Remove from the oven and cut into squares. I so tried to make foccacia once, and EPICALLY FAILED!! YOU however did not, and it looks friggin’ scrumptious!! Focaccia pizza is a wonderful idea. Love the herbs and garlic in this recipe. Wonderfully done! thank you for participating this month! so happy it turned out perfectly for you this time. 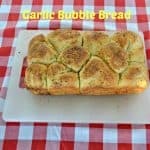 I love focaccia and I’d say your bread turned out perfectly! 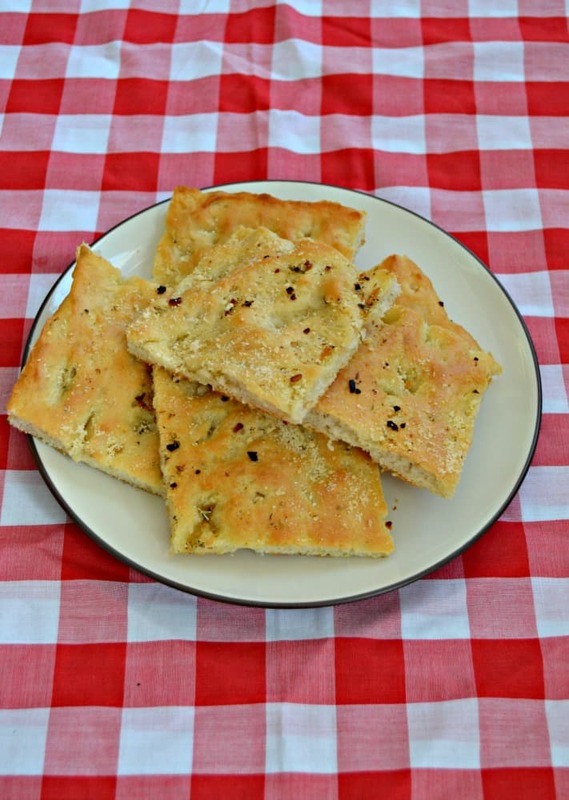 You can never go wrong with focaccia! One of my favorites and I can’t wait to try this. Beautiful focaccia, Heather! I love this bread. So versatile. I usually use it as a dipping bread, but I LOVE your idea of using as the base for pizza! That focaccia is perfect! I’m craving it! I can remember the flavour of this delicious Foccacia…. Great Texture….